Goodcents Deli Fresh Subs – Cold cuts, something hot, just desserts? Yes, yes, and yes. Or grab your fork and try one of their hot and always fresh pastas. 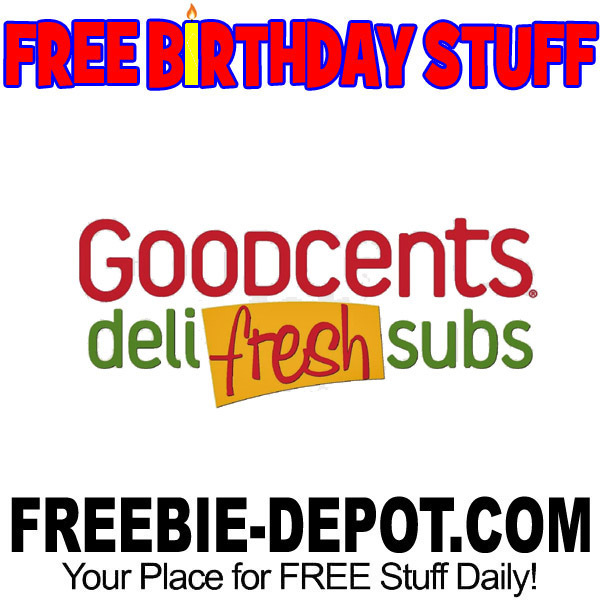 Subscribe to Goodcents E-club so you can get an email sent to you for a FREE Birthday Sub! You will be able to redeem the printed out email for a FREE 8″ Sub (half a sub). ID required – expires 4 days from email date. 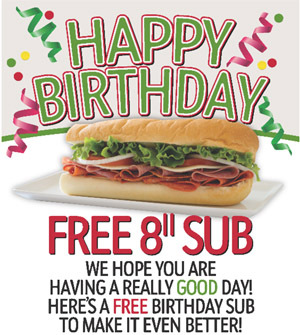 Check out the menu to see what kind of FREE Sub you want for your birthday!